For over 20 years, Dr. Bruce Podhouser has been creating the smiles that people love to show off. After graduation from Tufts Dental School and completing a one-year General Practice residency, which involved a significant amount of emergency dentistry and head and facial trauma, he continued on with a two-year orthodontic residency at Montefiore-Albert Einstein Medical Center in New York City. Dr. Podhouser focused on joining an established practice in Maine—a place he fell in love with after a college ski trip to Sugarloaf. Dr. Podhouser started practicing at Orthodontic Associates in 1992 and added a satellite office in downtown North Conway in 1996. Dr. Podhouser works hard to continually evolve OA into the most modern and technologically innovative orthodontic practice in northern New England—including a recently added digital scanning machine that replaces those uncomfortable impressions that many patients dread. OA offers treatment options for patients of all ages, including lingual (behind the teeth) and invisible braces. 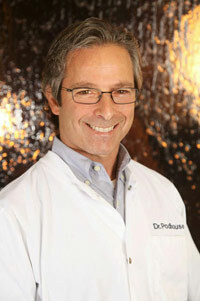 In fact, Dr. Pod has completed the most Invisalign cases in the state of Maine. Dr. Podhouser is a Diplomate of the American Board of Orthodontics, an esteemed position awarded after presenting cases to a panel and passing a rigorous series of exams. He is highly involved in the dental community at the local and national level, including volunteering with the Maine Medical Center Cleft Palate Team and a member of the American Association of Orthodontists; New England Orthodontic Study Club; Maine Orthodontic Association (past-president) and Greater Portland Dental Society (past-president). When not attending continuing education seminars, his weekends are happily spent out in nature with his family: hiking, mountain biking, waterskiing, snowboarding and playing tennis.